November 2018 New AXIS Products Now Available | CamCentral Systems Inc.
New digital video surveillance products are now available from AXIS Communications and are available for purchase directly from CamCentral Systems Inc. using international shipping services. CamCentral Systems Inc. has decades of video surveillance industry experience and can recommend the very best AXIS products for your solution requirements. 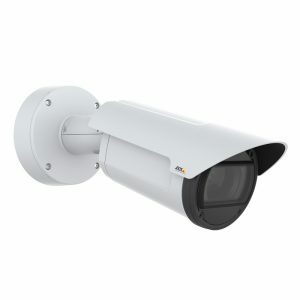 The AXIS Q1786-LE and AXIS Q1786-LE Network Cameras are the latest releases that offer impressive pixel resolution and optical zoom features with durable cold weather construction. These fixed point network cameras are excellent for video surveillance applications that require high performance equipment that operates during all weather conditions. 4 MP/Quad HD1440p resolution with 32x optical zoom at 50/60 fps makes these models from AXIS one of the best fixed bullet style available. 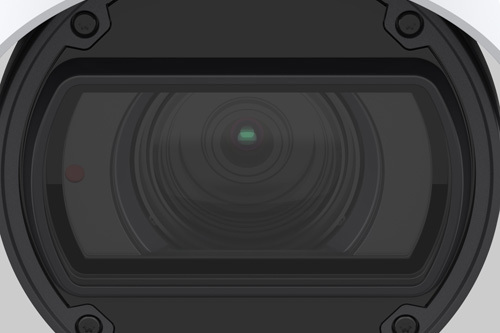 AXIS cameras have the best digital sensors and custom made lenses in the video surveillance industry. Reliable operations and impressive features combine so that the AXIS Q1786-LE and AXIS Q1786-LE Network Cameras are excellent choices for digital video surveillance solutions. The next generation of AXIS digital video recorders are now available with the AXIS S1148 Recorder that comes in 48 TB, 64 TB and 140 TB storage capacity options. These ultra reliable rack mount style recorders feature 48 POE ports and very fast hard drives for storage of digital video camera footage. Below is the full list of new products available from AXIS Communications during November 2018. Contact CamCentral Systems today to order the latest AXIS products using fast and reliable international shipping couriers to all locations around the world. LENS I-CS 9-50 MM F1.5 8MP 01727-001 Varifocal IR-corrected 12-50 mm i-CS lens for cameras up to 8 megapixel resolution and 1/1.8″ sensor. Motorized zoom, focus and P-iris. Contact CamCentral Systems Inc. today to order the latest AXIS Communications products using fast and reliable international couriers for delivery to your location anywhere in the world.